Comments: While diving off the south side of Lana'i with Lahaina Divers, we encountered this pelagic manta. He was first spotted by our dive guide, Adi, just as it came swimming out of the deep blue. The day prior I missed the sighting of another pelagic manta at Molokini Crater. 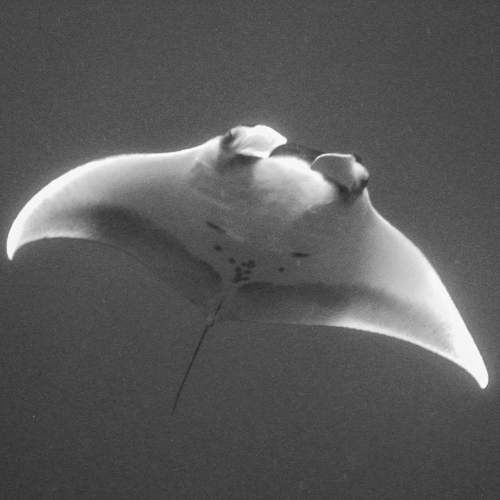 Thanks to Adi I did not depart Hawaii without a pelagic manta encounter.